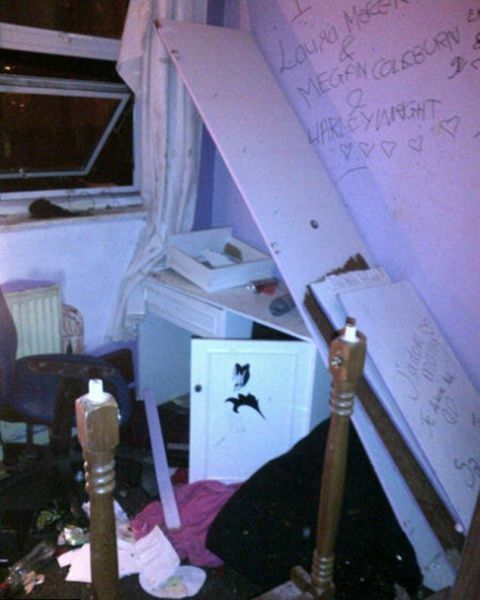 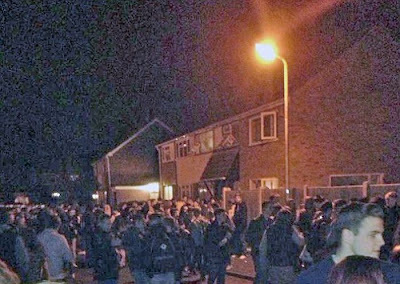 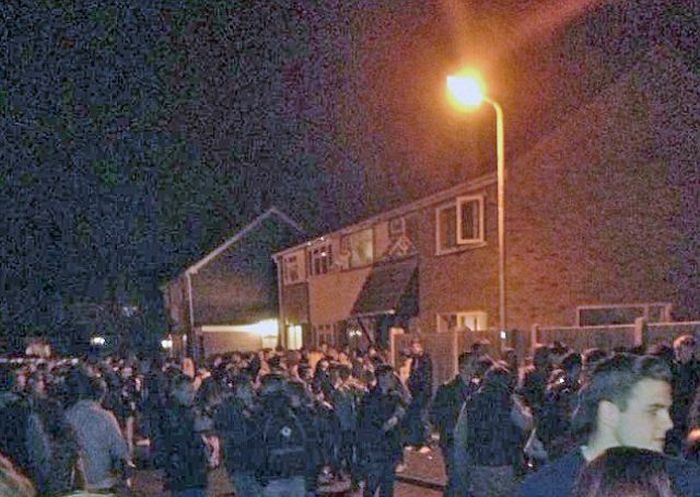 200 teens crashed a party of 14-year-old Sarah Hine, who advertised it on Facebook. 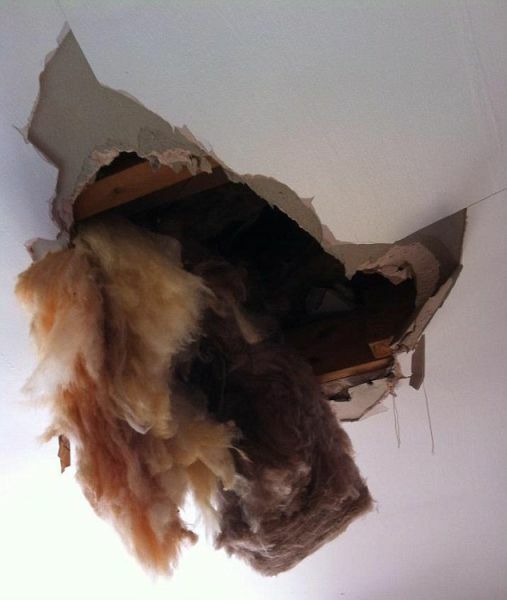 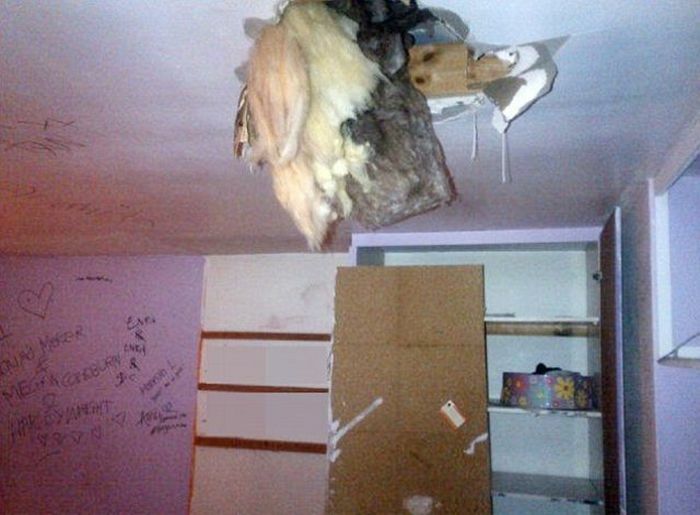 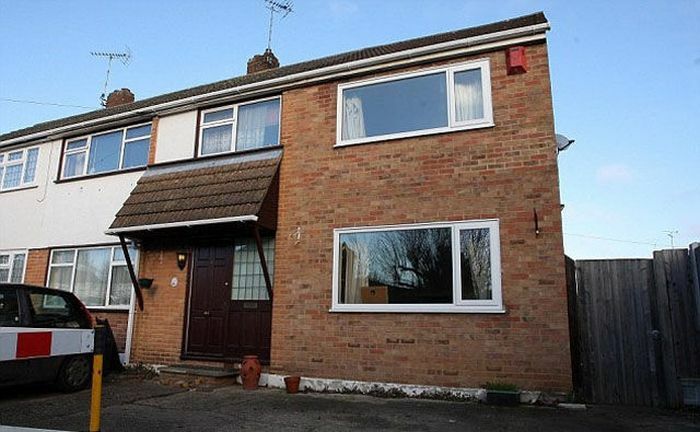 The teens caused $48,162 worth of damage to the family home. 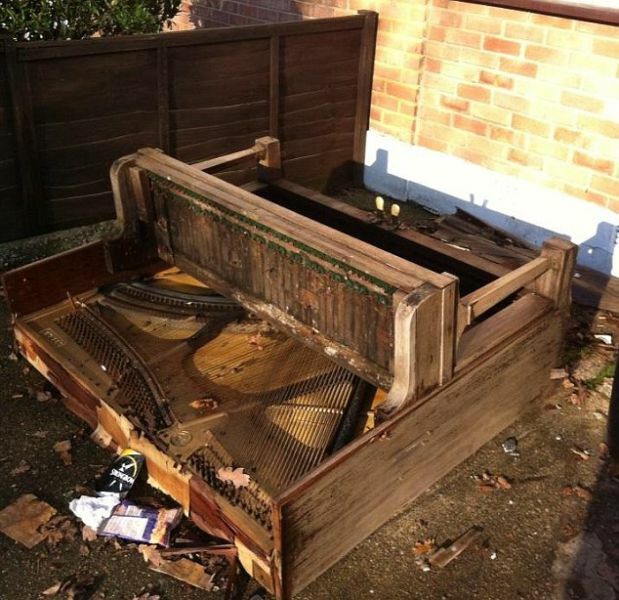 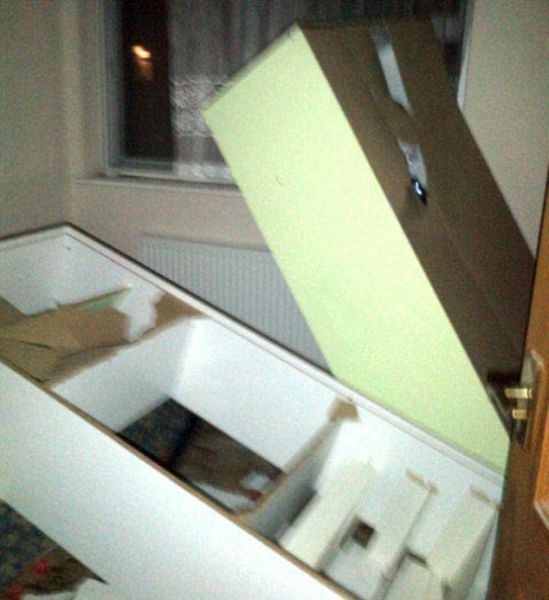 They destroyed the furniture and even throw a piano out of a window. 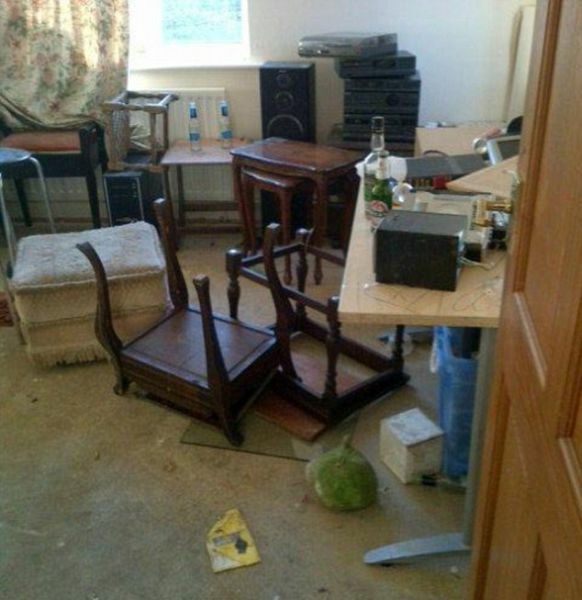 None of the damage is covered by insurance because the guests were invited in. 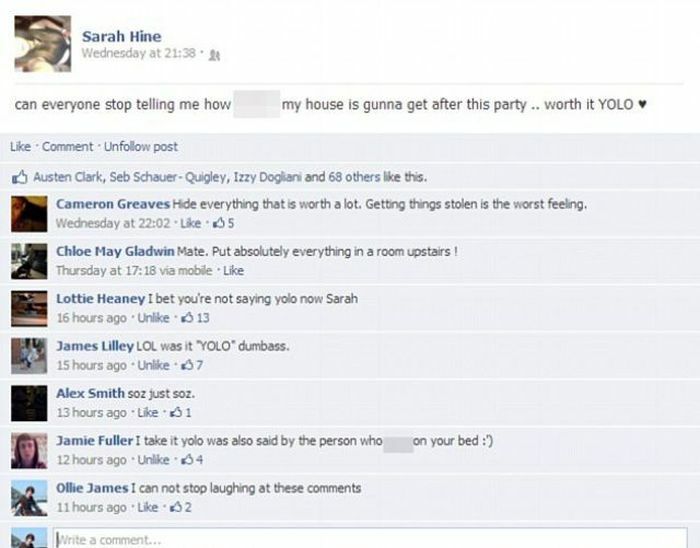 1 response to "Facebook Party Disaster (9 pics)"